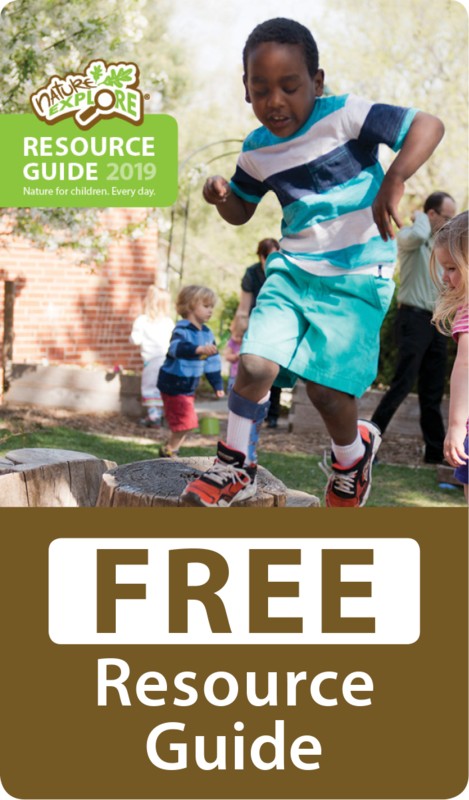 During the 2011-2012 school year, work began with the Bay Tree Design firm from Berkeley, CA on a plan for more effectively using their outdoor spaces. Sharon Danks, author of From Asphalt to Ecosystems, and Lisa Howard, landscape architect, came for several days in November during which time meetings were held with students, faculty, and parents to explain the value of using the outdoors for learning and play. A Design Charette was held on a Saturday morning to gather ideas from all of the stakeholders. As a result, a concept plan was created that included current spaces as well as spaces from near-future new construction. The decision was made to go ahead with creating an outdoor classroom in an area that would not be affected by new construction. During the summer of 2012, the “Natural Exploration Zone” was created using the northwest section of campus and its outdoor areas. In addition, a committee was formed to continue to explore ways to implement plans for outdoor learning. This committee, comprised of four faculty members, two administrators, a parent and a board member from the school, created the mission and timeline for work being done and named the project the “Educational Playscapes Project”. Keeping in mind Florida weather conditions, as many natural materials have been included as possible. Each area was named using a verb that implies the “action” taking place in the area; Read, Engage, Explore, Create, Construct, Interact, Compose, Grow, Gather, and Collect. The outdoor spaces have been designed to be open, inviting, and with high visibility in mind. The Reading Garden was developed along a small path under a canopy of existing trees. Stepping stones were made by the students to designate the pathway. The entire area was filled with organic mulch to enhance the natural feel and raised garden beds and a rain barrel were included. Extra tree stumps were obtained from Craig’s List for extra seating and the children use these as furniture in the playhouse. The playhouse was selected for its low maintenance and in a few places, Trek decking material replaced wooden trim to extend the life of the component. Careful research helped to obtain a durable climbing unit which was also selected to fit in amongst the existing large trees. To create the Natural Exploration Zone, weeds, dead vines, and bushes were cleared out as needed. Orchids, vegetables and pollinator garden plants were selected for various locations. Raised garden beds attractively house the students’ vegetable gardens. Orchids have been attached to trees in various locations and plans are underway to add two butterfly gardens outside the classrooms of the two-year-old children this year. A tiled wall, created with tiles made by graduating Lower Campus students, has been added for beauty and posterity. 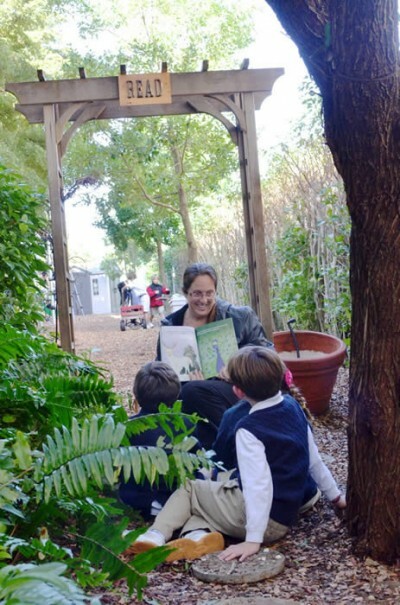 One of the Palm Beach Day Academy teachers, Dr. Jennifer Tinker, was awarded the first Florida Kindergarten Council Grant in 2013 to help her create a Schoolyard Habitat Guide. Her work was presented at the Florida Kindergarten Council’s Annual Convention in Orlando, FL in October 2013. Palm Beach Day Academy was also named a Green School of Excellence for the fifth straight year in Palm Beach County. This is due to the efforts of all stakeholders. An on-going partnership with Mounts Botanical Garden in West Palm Beach, Florida was launched at the beginning with the 2013-2014 school year. The second-grade students will be directly involved with this botanical garden throughout the year. A wonderful benefit to this new partnership was the connection made with a college student majoring in horticulture at a local university. This student earned her Master Gardener status through a program at Mounts and has served as a consultant and mentor for the students, helping them plant this year’s vegetable beds. The Mounts Botanical Garden donated almost all of the vegetable plants and one of their Board members will be guiding the school in the creation of a butterfly garden to enhance the play area and serve as space for related science lessons.